These half litre crystal glass wine decanters are handmade with a distinctive - and unique for each decanter - bubble in the base. 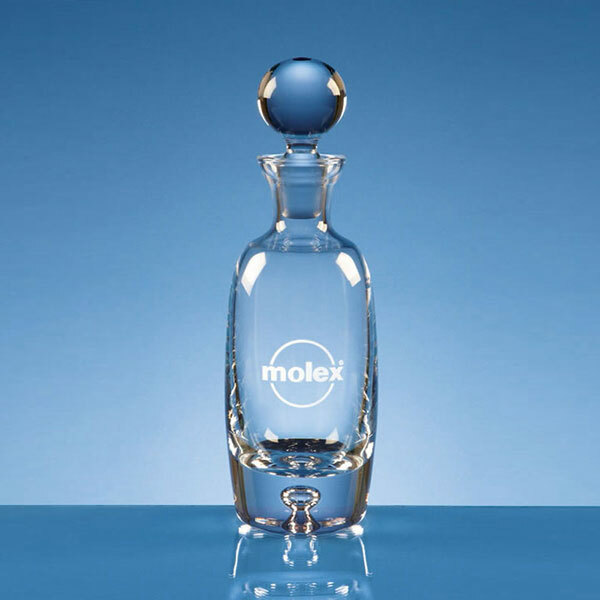 The shape of the decanter is tall and narrow and it is topped with a clear glass round stopper. 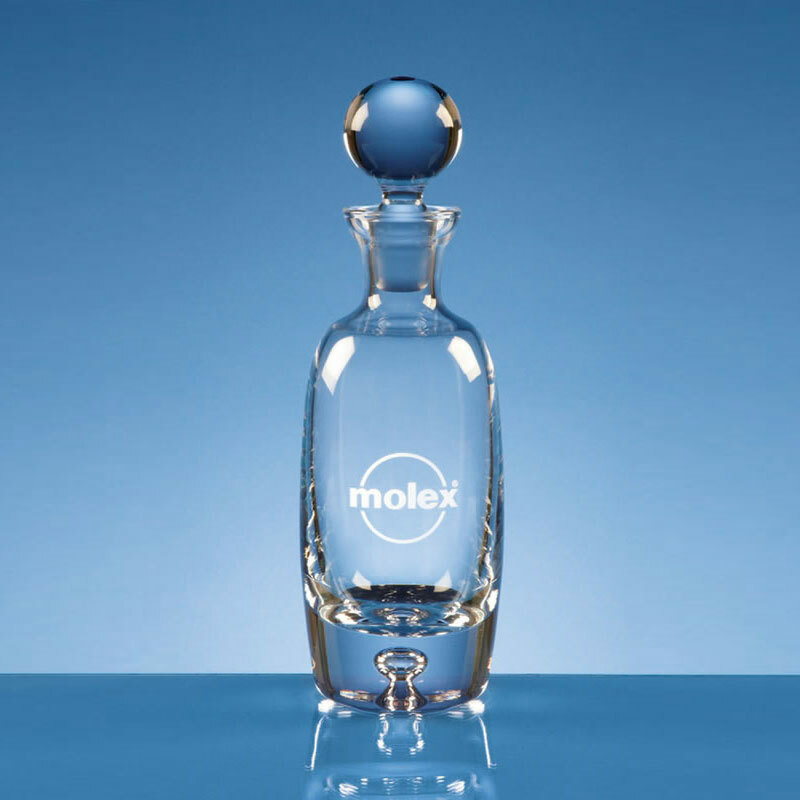 The clear glass body of the decanter is perfect for engraving to create a special personalised gift for a wine lover, or a branded corporate gift or award. We offer low-cost engraving for your entire inscription. An optional fitted, lined presentation box is available for your engraved crystal wine decanter (see image bottom left, showing box with decanter R11).